After a great night’s rest and our Vietnam visa issues behind us, were ready to explore Hanoi with our new friend Elly who was the tour guide assigned to us by Classy Travel. We loved Elly’s enthusiasm while showing us her city, as well as her ability to quickly and easily navigate the city with us in tow. She had a lot of great information and we really enjoyed our time with her! When we arrived, we saw many students dressed in graduation gowns and taking photos. 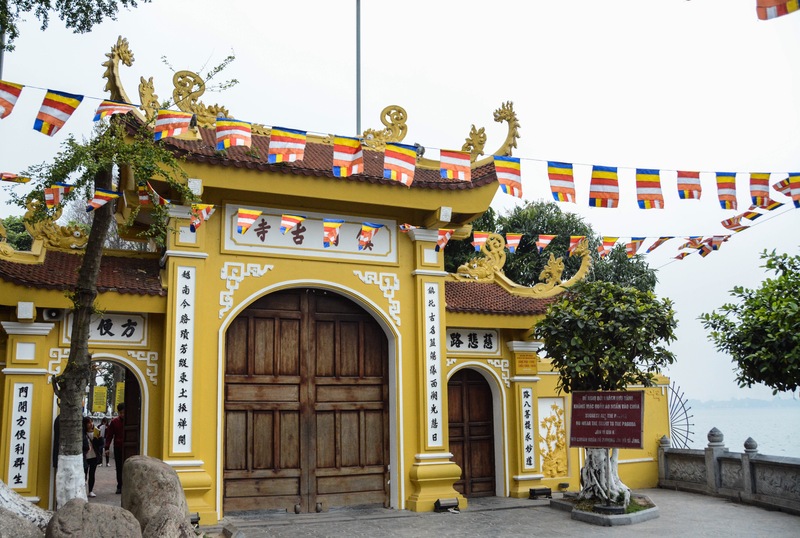 We asked Elly why they had chosen this particular location and she advised that the temple was built in 1070 under King Ly Thanh Tong. 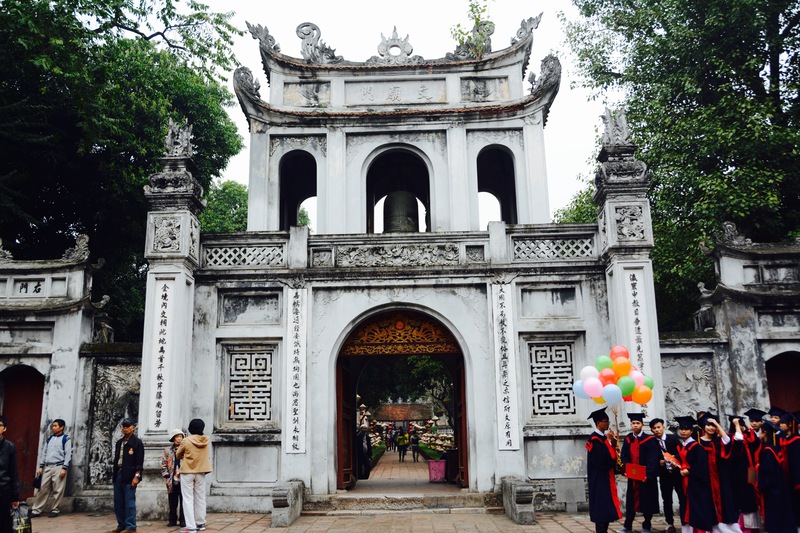 The temple was home to Vietnam’s first university and was dedicated to Confucius and the crown princes and elite members of society were educated here. 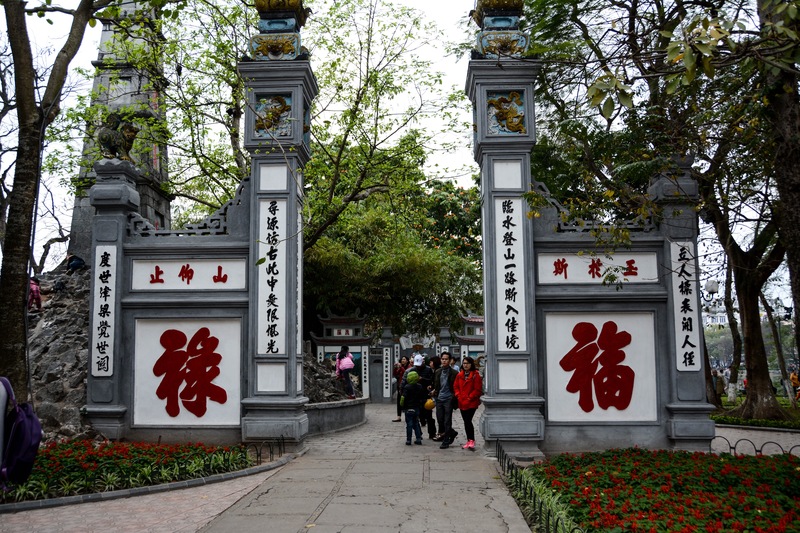 Now, it has become a good luck tradition for students to visit the temple before they take their college entrance exams and that is why you will see many students here taking their photos. 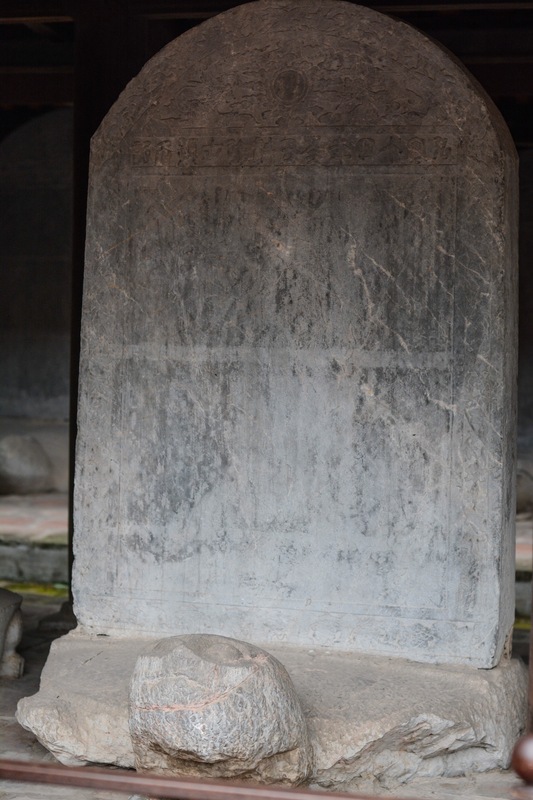 As you walk through the temple, you will see large stone turtles carrying a stone tablet on their backs, these are called steles. These steles, are used to honor and record the names of Doctoral Laureates who passed the royal examinations at the time. 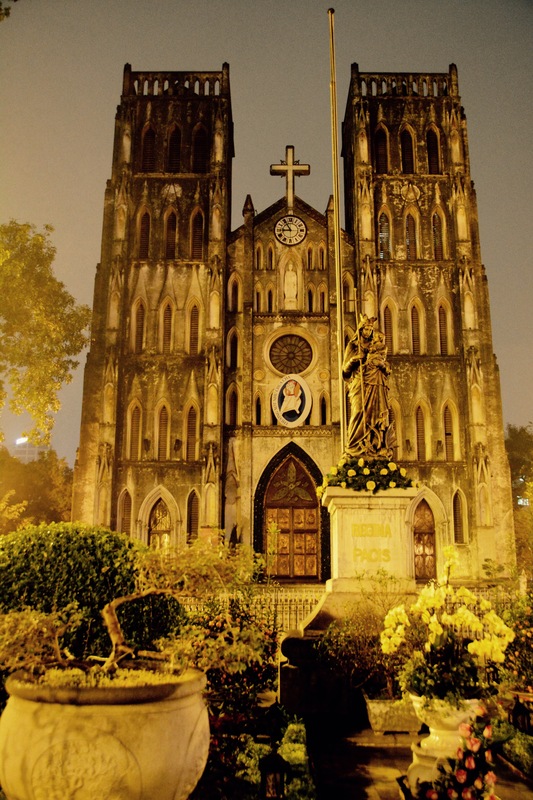 At present, there are still 82 steles remaining, many were damaged during the wars that Vietnam has been through. You will find a walk through the temple is very tranquil and there are many interesting artifacts. 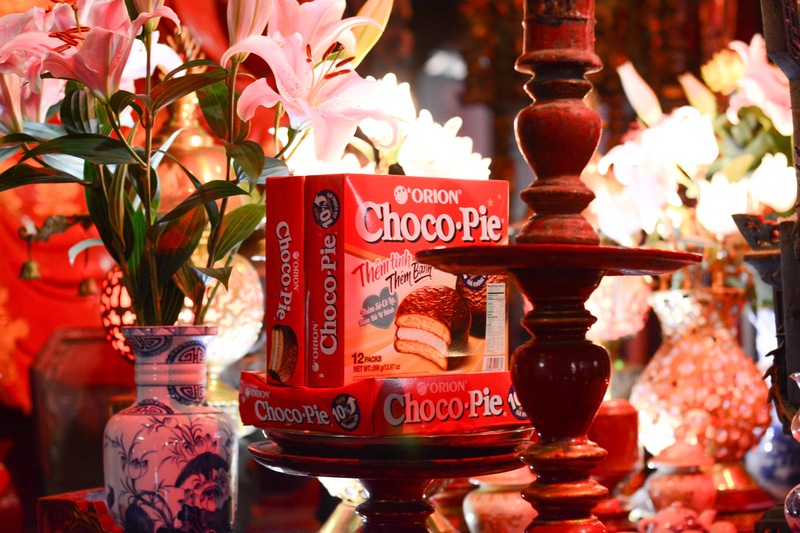 You’ll also see many interesting offerings, like Chocopie! 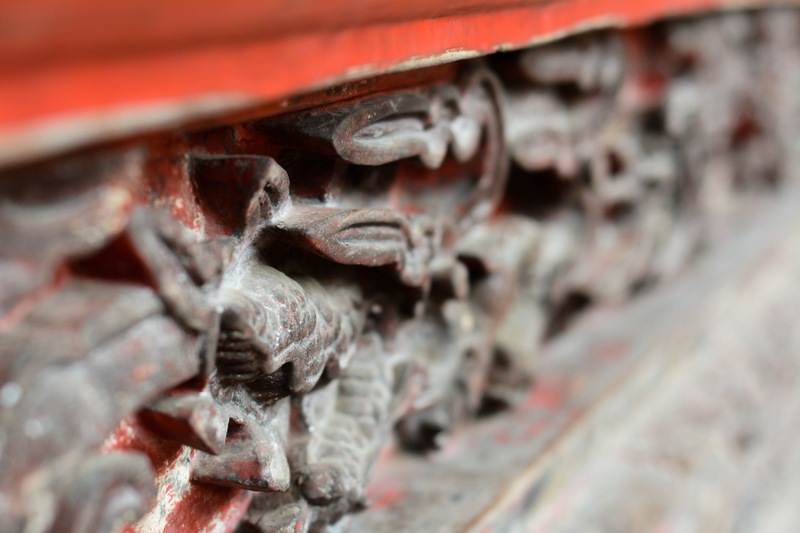 If this part of the temple looks familiar, it’s because this is featured on the back of the 100,000 Vietnamese dong note. 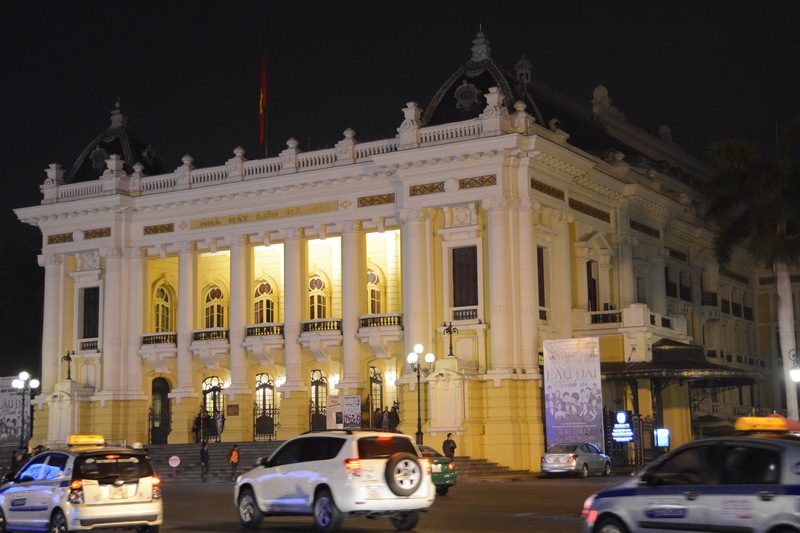 Admission is 30,000 VND per adult, 15,000 VND per student, and children under 15 years old are free. 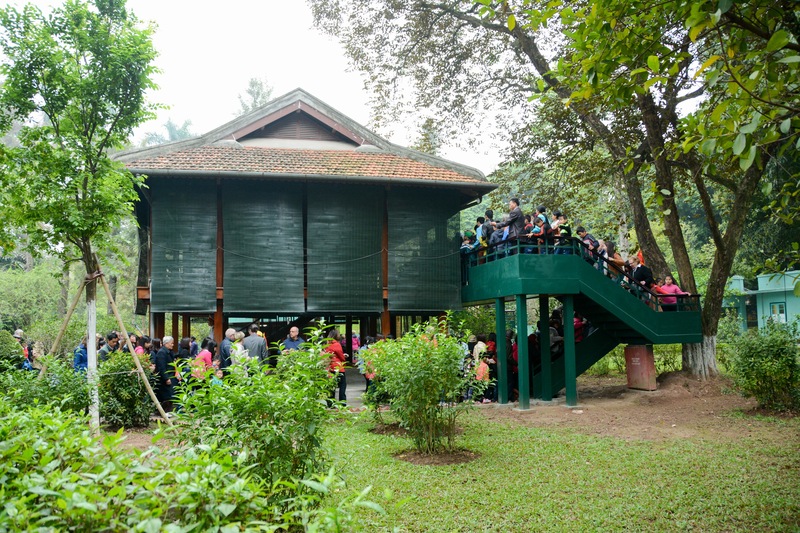 The complex consists of a Museum, Ho Chi Minh’s Houses, and the Ho Chi Minh Mausoleum. If you are just interested in going into the complex and are not worried about getting into the mausoleum, then make sure you are in the line for “outside only.” But no matter what line you get in, follow the below guidance! If you are planning on going inside the mausoleum, be prepared to wait a long time (this is just a small portion of the line to get in). 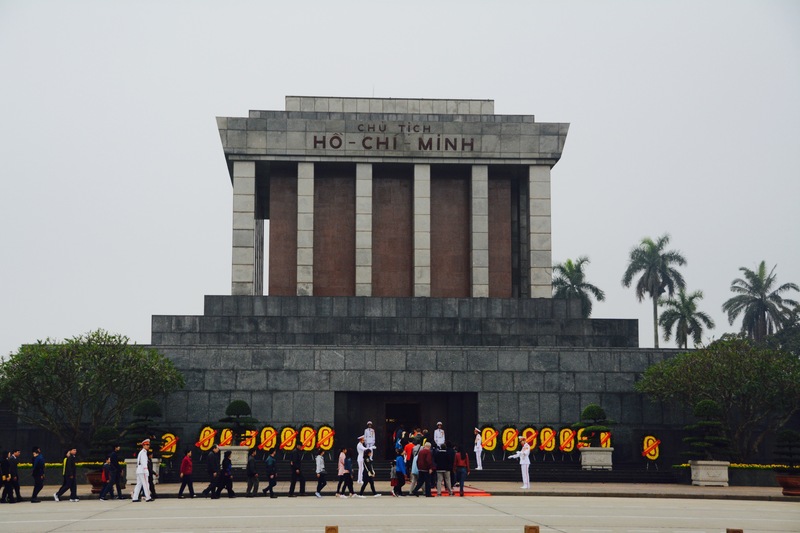 The hours to go inside the mausoleum to see Ho Chi Minh’s body are from 0800 – 1100 (only 3 hours per day!). People start lining up very early, and our guide informed us that people travel from all over Vietnam to pay their respects and sometimes be turned away when they haven’t made it into the mausoleum by 11 AM. To this day Ho Chi Minh is still widely revered by the Vietnamese people. When people see him lying in the mausoleum with no glass around him, they feel that he is just sleeping, not actually dead. Make sure to mind your Ps and Qs as the complex is crawling with military. 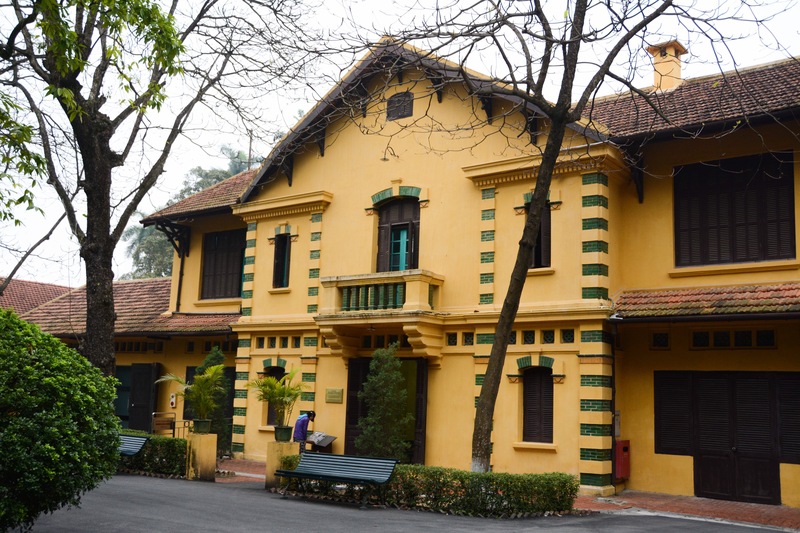 Also located in the complex is where Ho Chi Minh lived, is the mansion below. This building was originally built by the French and is said to house 200 rooms, but was mainly used as meeting areas. 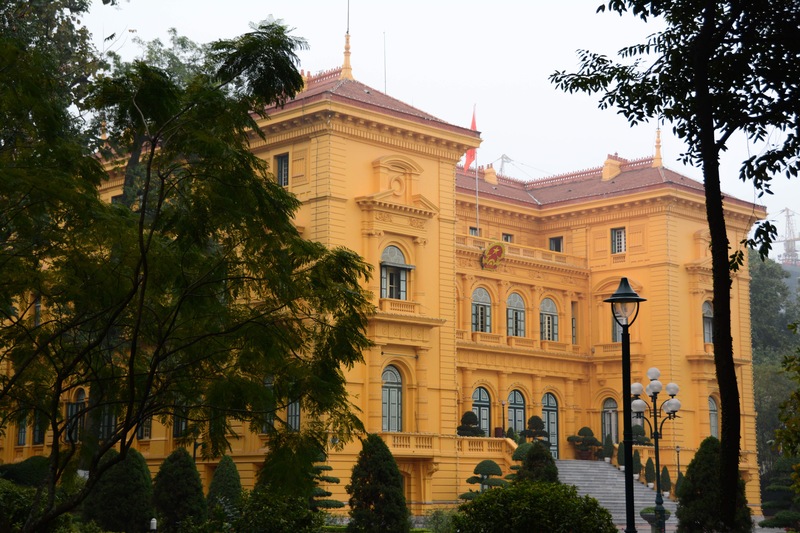 It is said that Ho Chi Minh felt this house was way too ostentatious for his liking and he refused to live there. Down the way from the great mansion is a smaller, but still rather large house that Ho Chi Minh lived in for some time. The cars he was given as gifts are also located here at this house. But the final house you will see while walking the grounds is this almost tree house looking home. 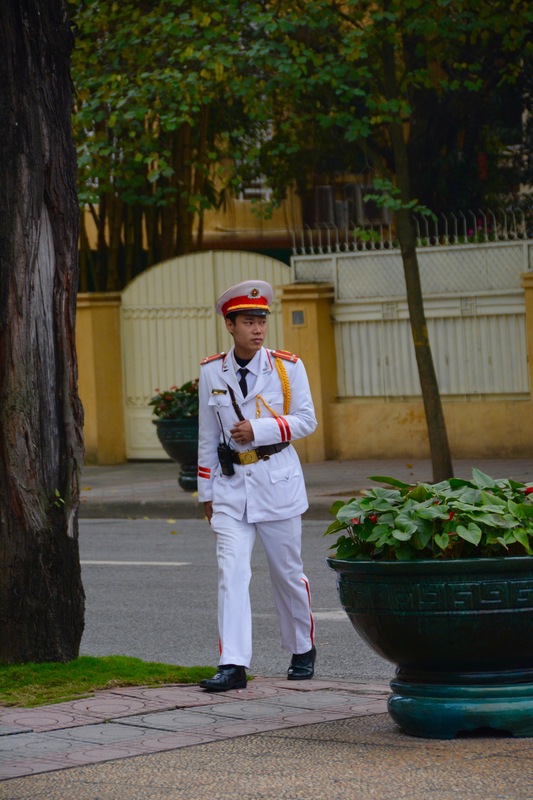 It is here that Ho Chi Minh lived for most of his time as the leader of Vietnam. It is said that it was in these modest surroundings where he was most comfortable and reminded him of his hometown in southern Vietnam. Admission to the Ho Chi Minh Complex is free of charge. The pagoda is located on West Lake (Hồ Tây). 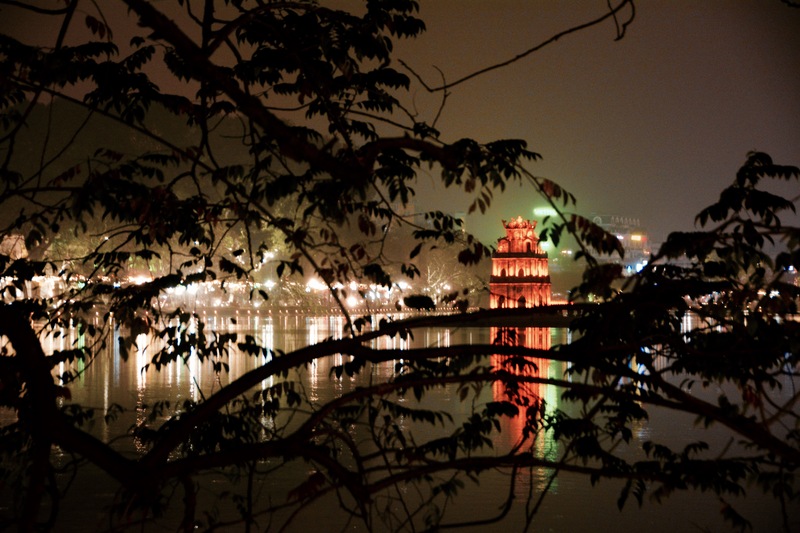 West Lake is the largest lake in Hanoi, and is a more expensive and upscale part of Hanoi to stay in. Outside the Pagoda you will see many people selling goldfish and turtles. It is said that throwing one of them into the lake will supposedly bring you good luck. To get to the pagoda, you must take a small foot bridge. Admission to the Pagoda is free of charge. 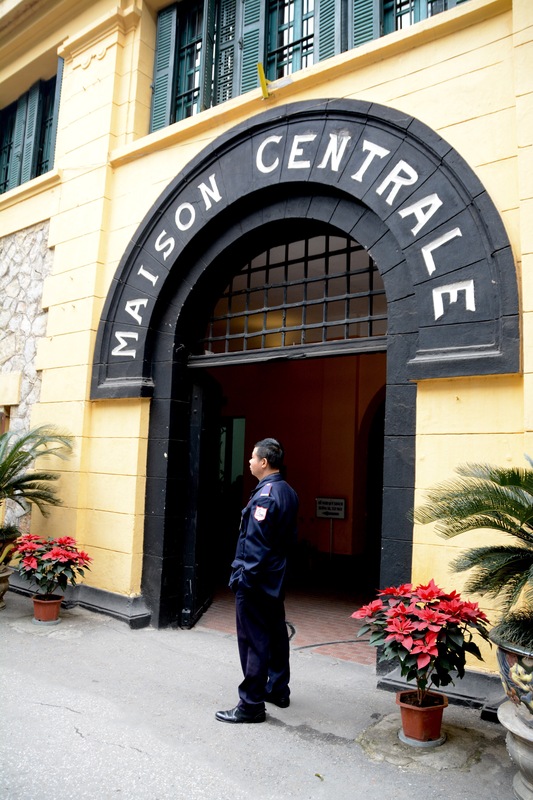 The prison is sarcastically nicknamed the “Hanoi Hilton” by the US Prisoner’s of War. 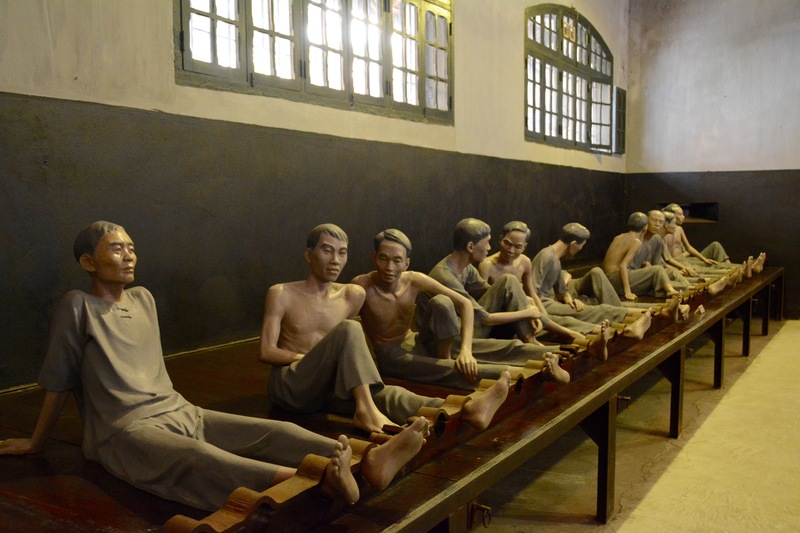 Although conditions in the prison were not nearly as pleasurable as staying in a Hilton Hotel, the photos and artifacts at the prison as well as stories from the local guides will lead you to believe that the POWs were fed very well, had a lot of fun leisure time, and was an overall enjoyable experience. In reality, we have all heard stories from the Vietnam war that are contrary to these statements. Additionally, you will hear and see a lot of references to John McCain’s time spent at this prison. The prisoners were kept in terrible conditions, and a room such as the one pictured below (about 270 square meters), sometimes held 300 people. They were only permitted to exit their room twice a day to use the restroom, clean themselves, and just get out of their pen. The prisoners were frequently subjected to torture and the French even used the guillotine and then displayed the heads for all the other prisoners to see. During the prison’s history, there were a few prisoners who were able to escape through the sewers. 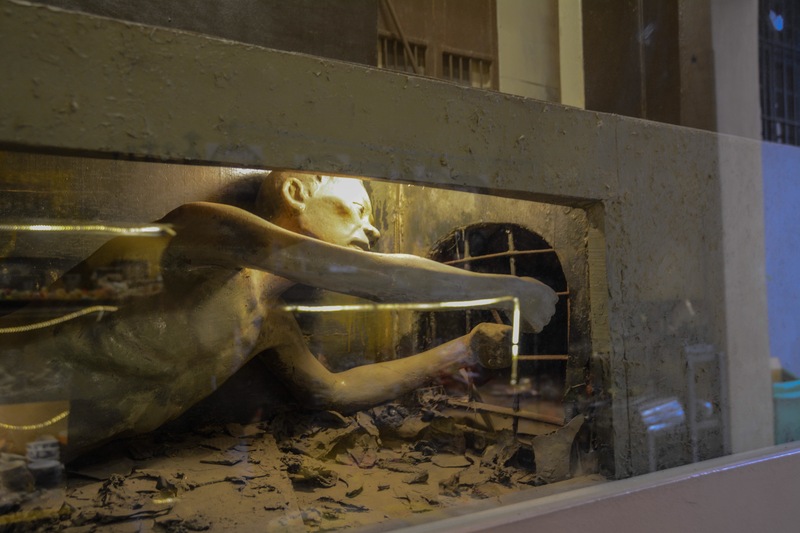 You can see in this photo that the prisoner was able to break through the bars of the sewers and was so emaciated that he was able to crawl through. 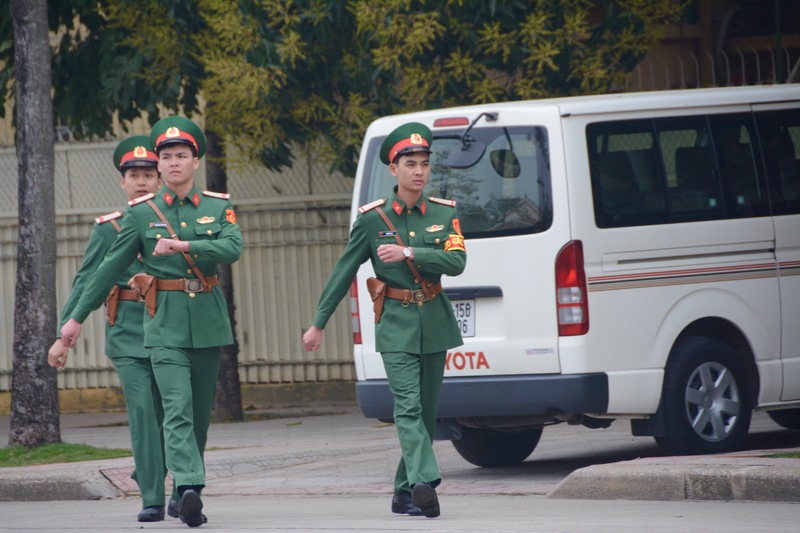 The prison was turned over to the Vietnamese Government in 1954, but it wasn’t until 1993 that the government turned the museum from prison to revolutionary relic of Hanoi. 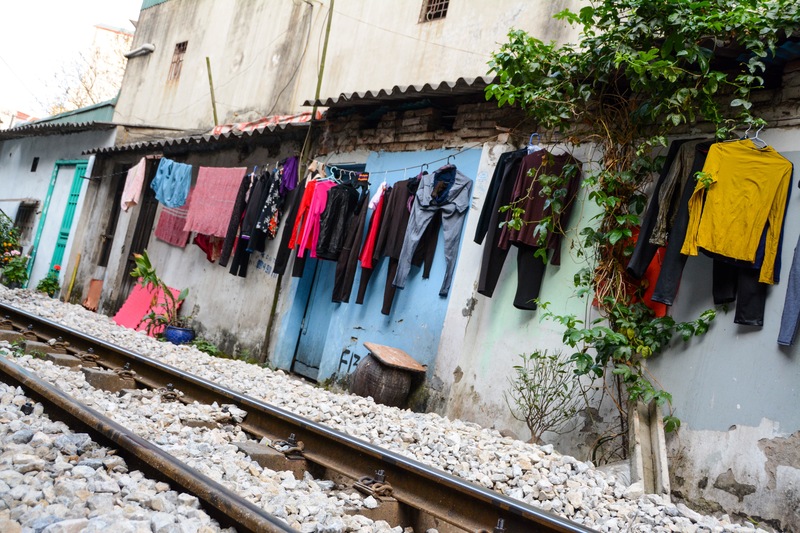 During our walk through the city, we walked along the train tracks to see where a lot of the locals live. It’s amazing how close their houses are to the tracks. 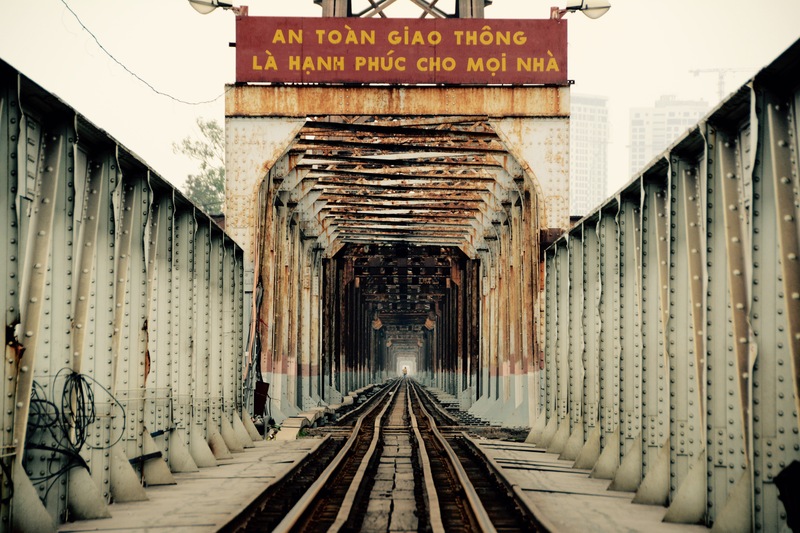 We then visited Long Biên Bridge which was built by the French in 1903 and is still operational today. 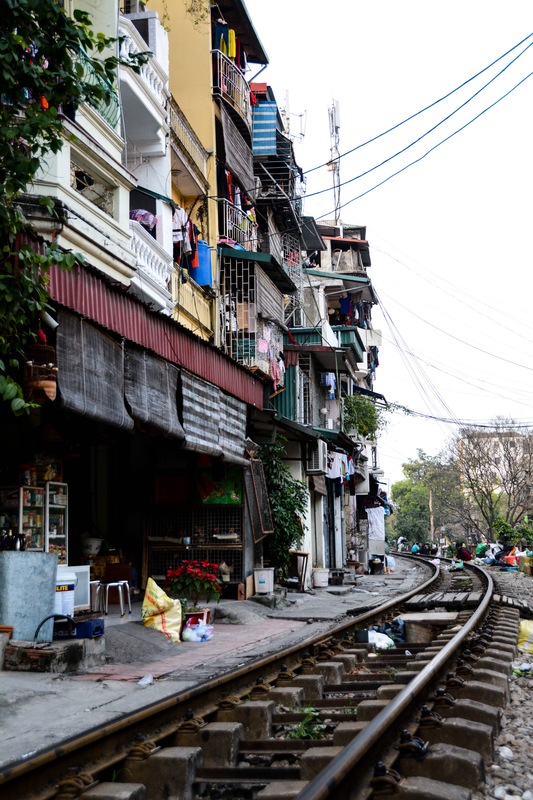 In addition to trains that travel on it, there are two roads on either side of the bridge that are used only by scooters and bicycles and there is a very poorly crafted sidewalk that seems like it may crumble at any moment. Underneath the bridge is a busy highway that is home to the world’s largest ceramic mosaic mural. The Hanoi Ceramic Road was built to commemorate the millennial anniversary of Hanoi in 2010 and is 6,000 meters in length. The lake is in the center of the city and the park that surrounds the lake makes for a very nice walk during the day or at night. The small building you see in the middle of the lake is called Turtle Tower, but you can’t get to the tower (unless you’re a turtle) because there are no footbridges. 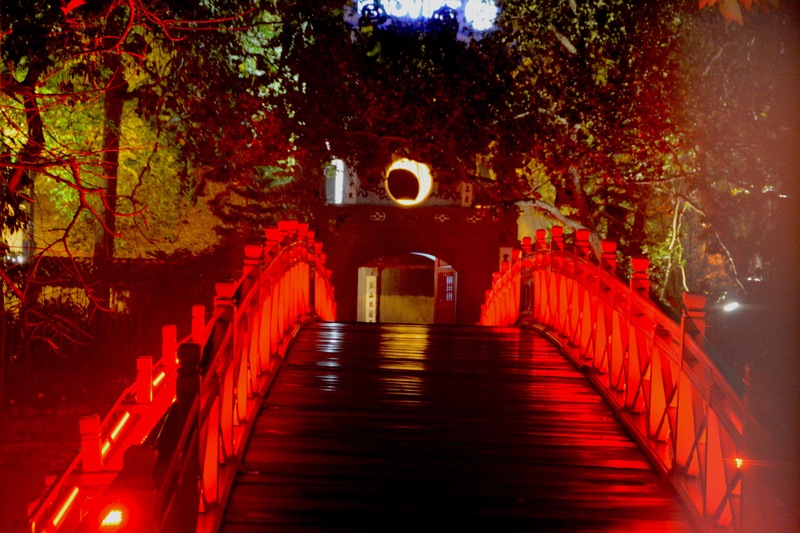 The red bridge located on the lake, leads you to Ngoc Son Temple. 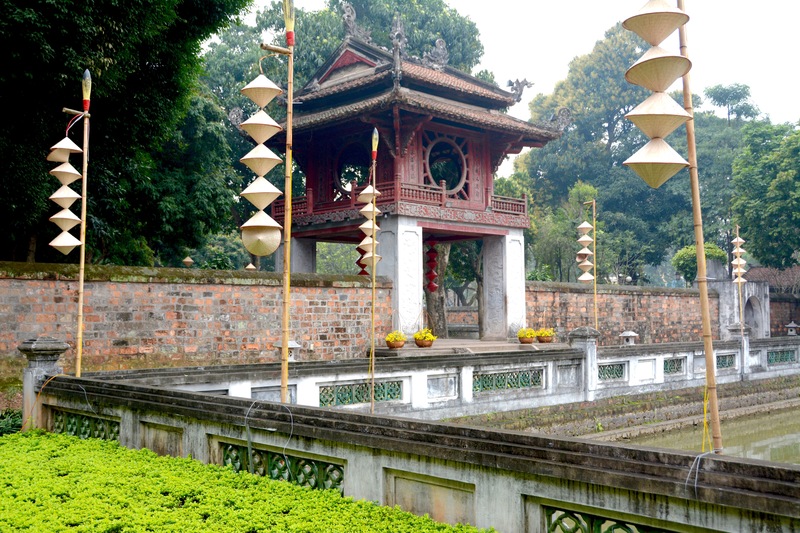 The lake used to have 2 large tortoises that lived in the lake and these tortoises relate back to the legend of King Le returning a sacred sword to the Tortoise genius of Ho Luc Thuy (the former name of Hoan Kiem Lake) in the 15th Century. Some people still believe that this sacred sword is buried deep beneath the lake. Many years ago one of the tortoises passed away and his body is kept inside the temple. The other turtle, a female, recently just passed away as well and no other known tortoises are known to be living in the lake. To the local people, the death of the tortoises was a great tragedy. The temple is open Weekday from 0700 – 1800 and Weekends from 0700 – 2100. 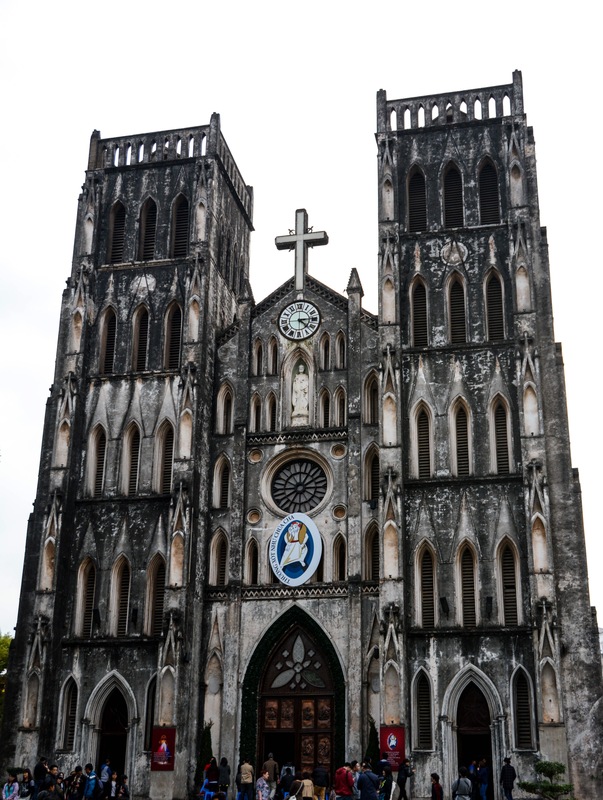 This Cathedral is located in the Old Quarter and serves the Catholic population of Hanoi. The Old Quarter is very old, dating back to the 13th Century. 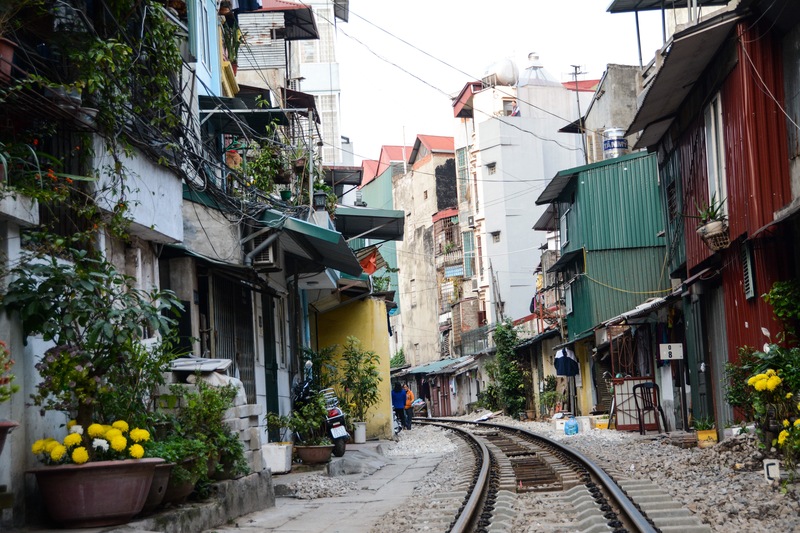 Nowadays it is the center of the hustle and bustle of Hanoi. You can get some of the cities’ best eats and also do a good bit of shopping. In addition to fighting the hordes of tourists, be careful as you navigate the maze of streets as there will be carts and motorbikes whizzing by in all directions. This Opera House was built by the French in the early 1900s. 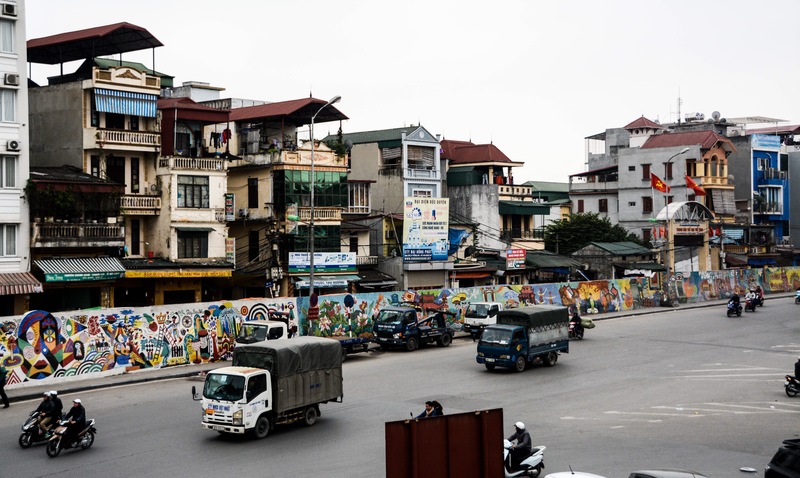 It, along with many buildings, are distinctly different and when you look at them and sometimes you forget you are in Vietnam when looking at them. The area surrounding the Opera House is very upscale, with 5 star hotels and stores like Gucci and Cartier. 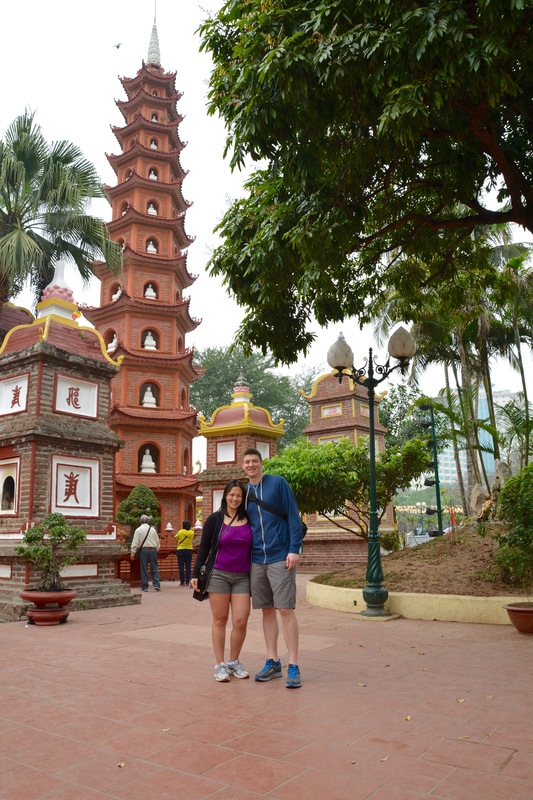 Hanoi has lots to offer, and there are so many sights and sounds that it is fun to just walk around town. A lot of tourists spend a considerable amount of time solely in the Old Quarter, but definitely venture out a little to see the other sites. Stay tuned for my next post about the food of Hanoi!